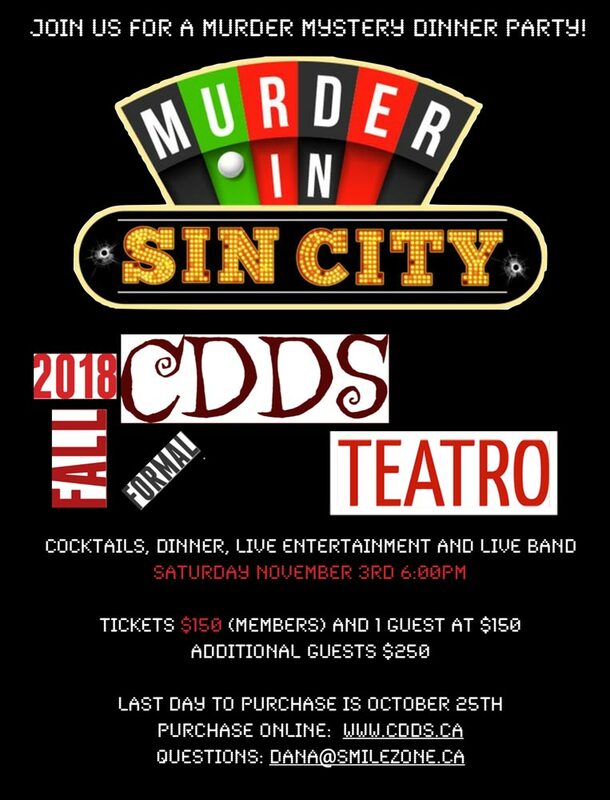 Come and join your fellow CDDS members at the CDDS Fall Formal 2018 on Saturday, November 3rd, 2018 6:00 PM at Teatro. There will be Cocktails, Dinner, Live Band, & Dancing! So come and join us for a Murder Mystery Dinner Party then eat, drink and dance the night away!